Here you will find out what we're learning about this term. 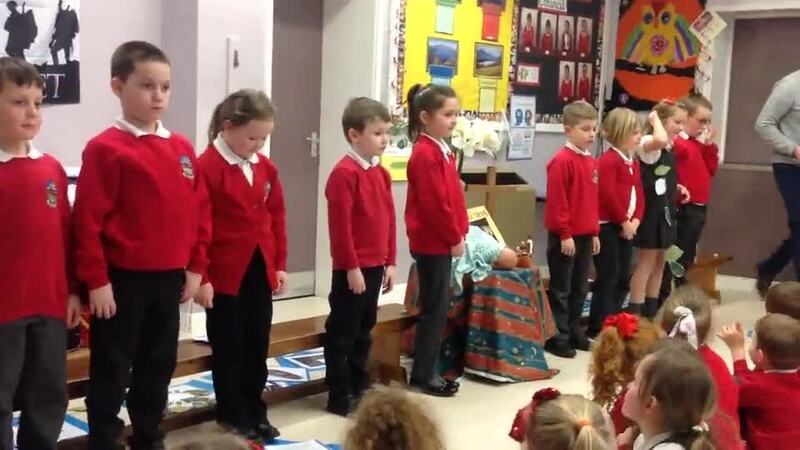 On Friday we delivered our class assembly. Everyone in the class spoke very well. Our assembly theme was hope and we re-told the story called 'The Three Trees' and sang a beautiful song. Have a listen to the video to hear our singing! As part of our healthy week, Harriet from Phunky Foods came in to see us. She helped school council deliver an assembly and then did a workshop all about drinks. It was shocking how much sugar some drinks have! In Year 2 we do our best to be like 'Work-at-it' Wiz. When we are feeling stuck we think about what Wiz would do. If we are worried about something then we let our worry monster eat it. This term we are going to be doing lots of work based around adventures. We will be watching part of the film 'Up' to help us with our work. We will write job adverts for an adventurer, writing our own stories and instructions. We are going to do lots of work based around the Gingerbread man. We will write newspaper articles and use powerpoint software to create our own alternative versions of the story. We will bake some gingerbread men too and design him some clothes out of fabric. We are also going to be looking at a contemporary and a classic poet. We will learn and recite some of their poetry before we plan, draft, edit and perform our own. Each day we will do some fun handwriting activities and have a phonics/SPaG session. Science: In Science our topic is going to be called 'Material Matters!' and will involve lots of investigations. We will be absorbing, melting, moulding and printing! We will also learn about living things and their habitats. We will go on mini beast hunts and make our own 'bug hotels' to put outside. Topic: Our topic this term is going to all about 'Great Explorers' and 'Kings and Queens' and will involve lots of History, English and Art work. What do sacred writings teach us about leaders? What does the Easter story tell us about God's love and forgiveness? Computing: Word processing skills. Using the internet safely. Art on computers. P.E. Children will do PE on Tuesdays and Wednesdays this term. We will start with 'Friendship dances' then move onto games and athletics. Please ensure PE kits are always in school. Music: We will explore sounds and beat this term. Homework: Children who read at home five times a week will receive a sticker for their 'Strive for 5!' chart. Children will be given their spellings on Mondays. Half of these will be tested on Wednesdays and half on Fridays. Children will receive activities (usually a word search) to complete which will aid the learning of spellings. I will set either a Maths or English 'Education City' activity for children to complete each week. Children's scores on this are saved and children have their own logins. Activities can be found under the homework tab. We have had a fantastic trip to Tullie House in Carlisle. We met Florence Nightingale!